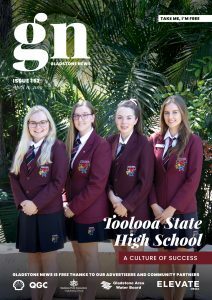 Gladstone PCYC’s RUBY (Rise Up, Be Yourself) program has received a great boost to launch into 2019! 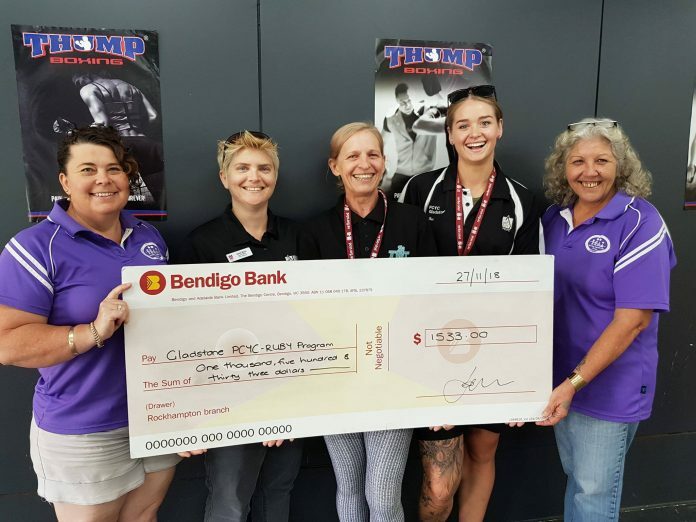 Coordinated Community Response to Domestic and Family Violence – Gladstone donated $1500 to help the PCYC continue to deliver the empowering program. The RUBY program is for women who are, have been, or likely to be experiencing Domestic and Family Violence (DFV). Held weekly RUBY is designed to empower women by building physical strength and contributing to general well-being, emotional resilience, self-esteem and confidence through a physical exercise in a violence-free and safe environment. The unique program gives participants a different outlet and tools to combat the DFV cycle by fostering connected relationships with other women in a safe, group environment. Sessions are facilitated by a qualified, female PT and a female member of the Queensland Police Service attends. PCYC Gladstone Branch Manager, Dominic Richardson said the RUBY program participants meet at a central location and transport can be provided if required. He said that although there is a physical fitness component to the program, all levels of fitness are catered for. The RUBY program was launched in Gladstone in March this year. Mr Richardson said that the CCRDFV-Gladstone had been very important in establishing a partnership to connect the PCYC with other support services in town to become a referral pathway for those ladies who could benefit from participating in the program. “The continued funding and support have enabled us to continue offering RUBY into 2019,” Mr Richardson said. So far fourteen ladies have been involved with the program. “The nature of the program is that we see ladies come into it and then transition out because they have moved or their situation has changed,” Mr Richardson continued. “We want to say a huge thank you to CCRDFV for partnering with us. We understand they have had an important part in our community for a long period of time. If we can help build on that and create more for our community then that is a powerful thing,” Mr Richardson said. Interested in RUBY for yourself, a family member, friend or client? All enquiries are confidential. Contact the PCYC and speak to program co-ordinator Bec Frost on 4972 3122 for more information.